In a mixing bowl mix all the seasoning with the olive oil. Add the Brussels sprouts and mix well to coat every piece. 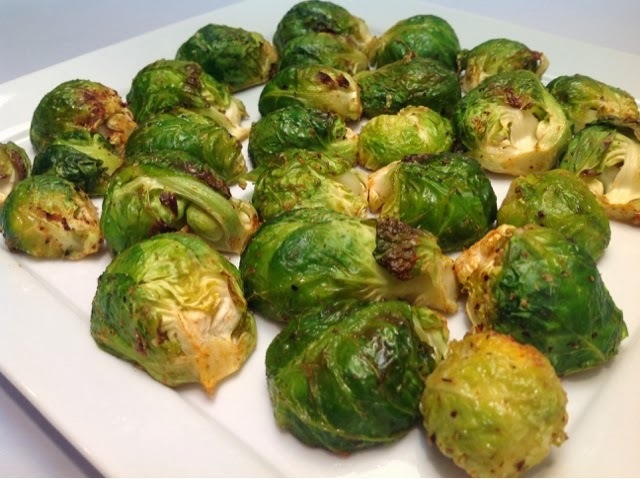 Take a baking sheet, lay the Brussels sprout facing down. Bake for 10 minutes, until golden brown and tender.